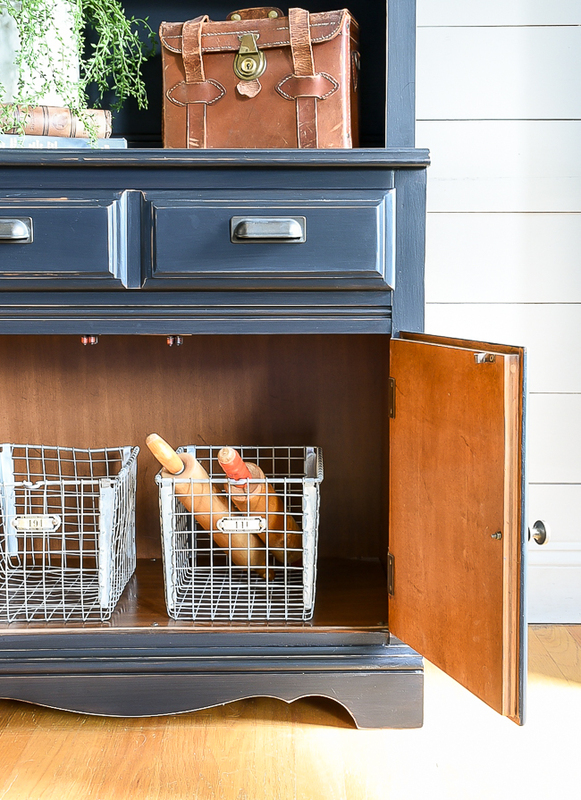 A dated wood hutch gets a farmhouse inspired makeover! Paint is such a powerful thing! 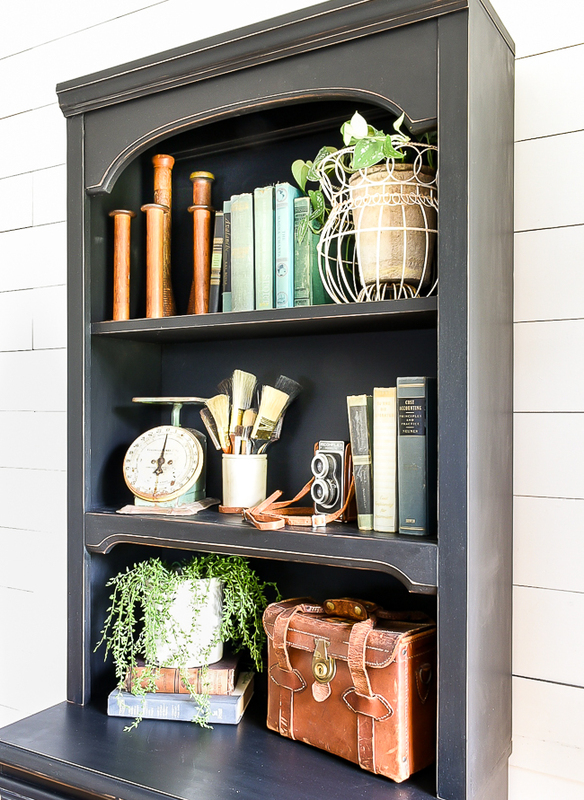 I'm constantly amazed at how much it can completely transform dated furniture for minimal cost and effort. 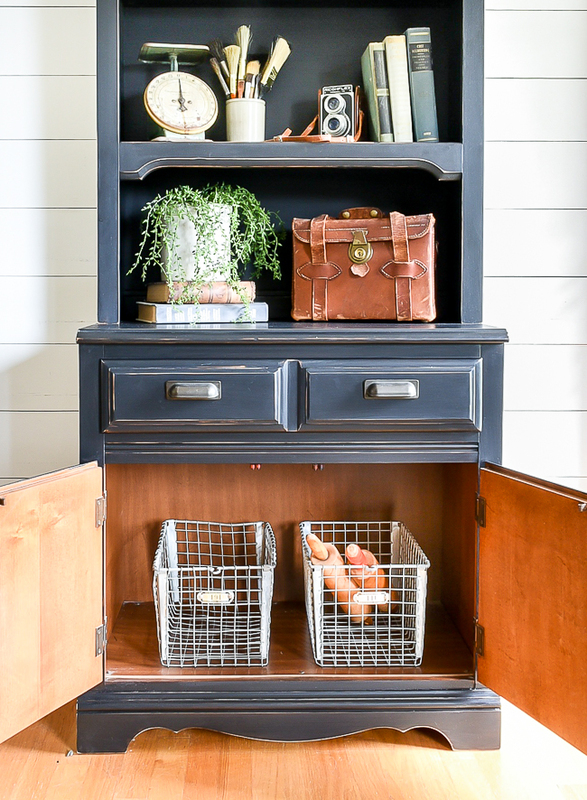 I recently came across a 90's style hutch that was a great price and the perfect candidate for a farmhouse makeover. I'm usually drawn to midcentury modern pieces, but I liked the idea of updating a completely different style piece and having a little versatility in the shop. 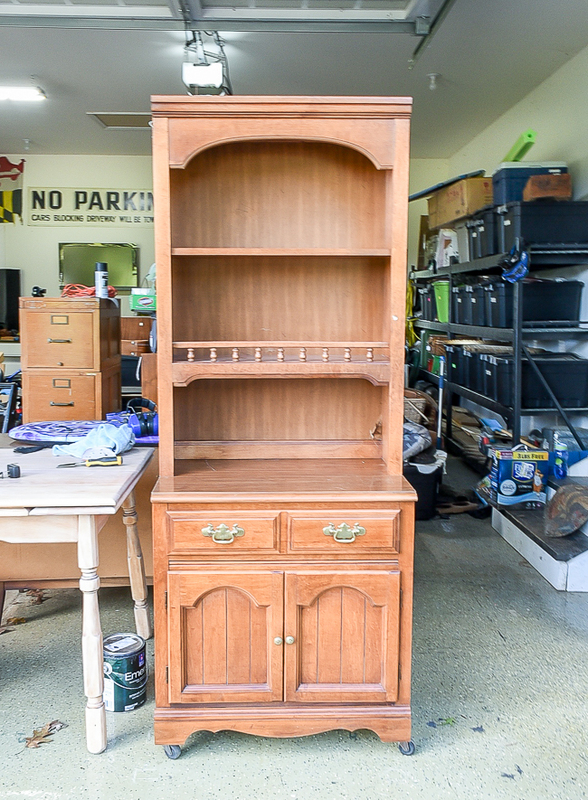 Here's how the two piece hutch looked just after I brought it home. 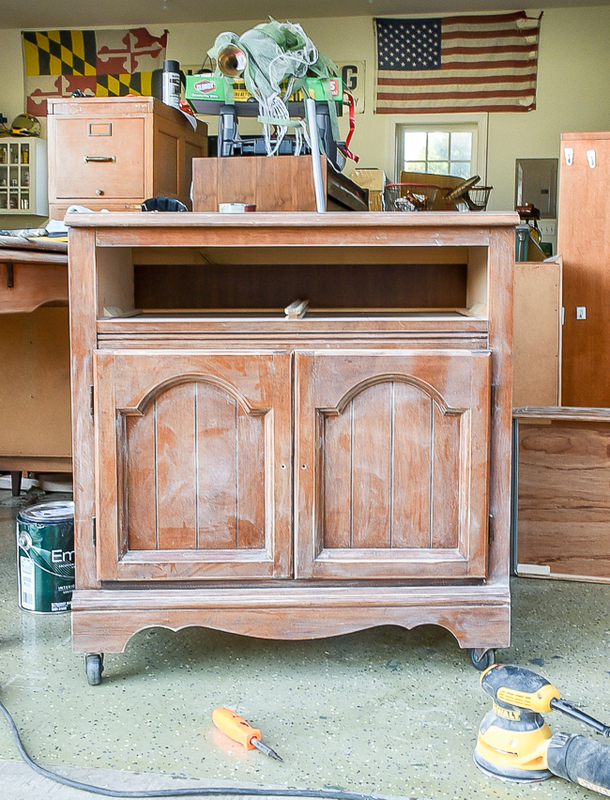 It was in great condition and offered lots of storage, but the stain, hardware and decorative details left it a bit dated for my taste. The first thing I did was remove the hardware and give both pieces a good sanding using my orbital sander and 100 and 120 grit sanding pads. Then I used a rubber mallet to knock the decorative railing loose until I was able to break off the wooden pegs that were holding it in place. This left some pretty big holes in the wood, but I was able to fill them all in with my favorite wood putty. I applied the wood putty with a spackle knife, smoothed it out, let it dry then sanded it smooth with my orbital sander. 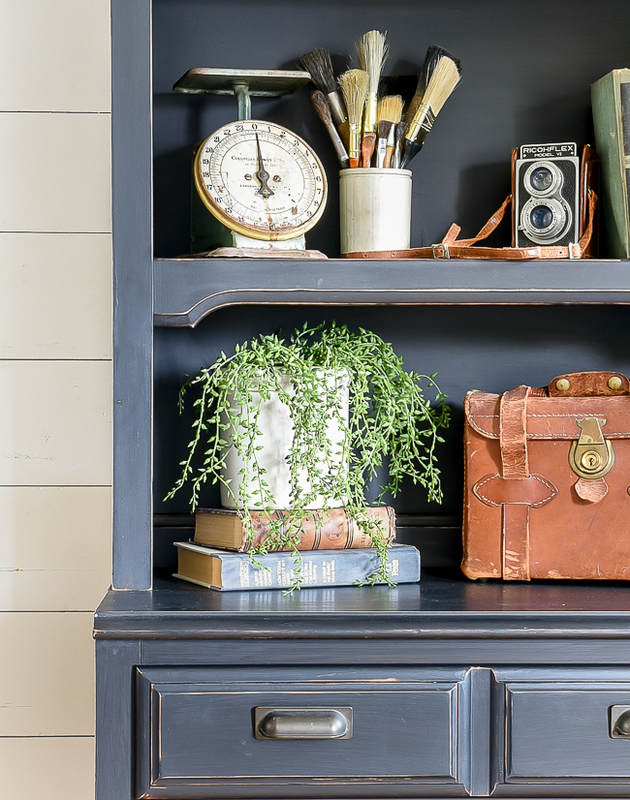 After the repairs were made and the wood was sanded, I cleaned the hutch with Simple Green then applied three coats of General Finishes Lamp Black. 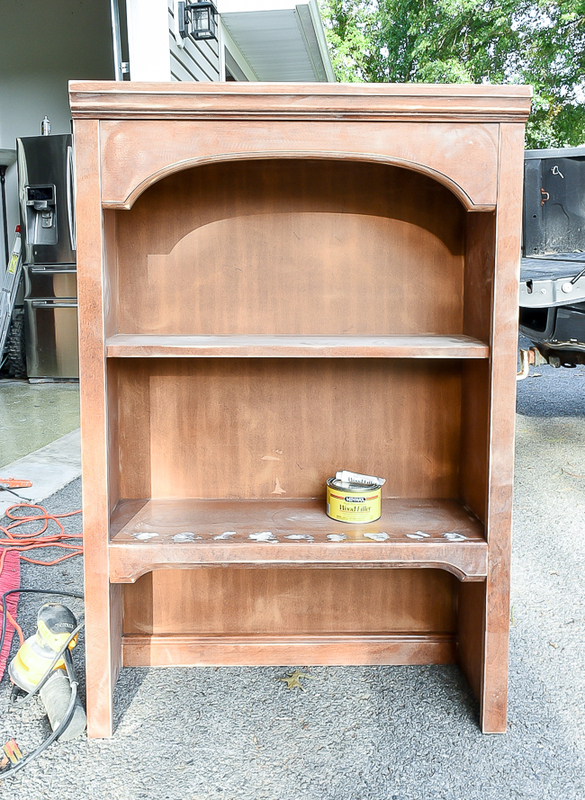 I lightly sanded around the edges for a naturally distressed look then sealed the paint with finishing wax. 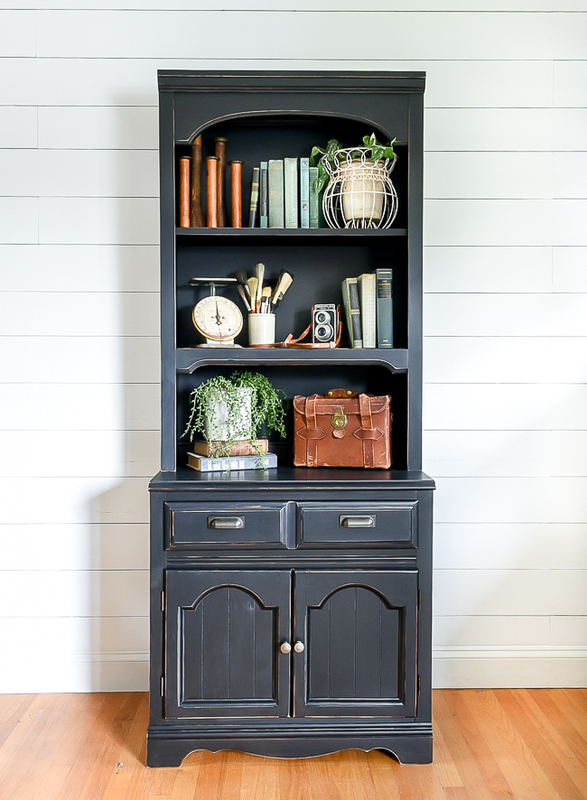 I finished off the hutch with new knobs from Hobby Lobby and pulls from Hickory Hardware. I'm really happy with how the hutch turned out, especially since it cost less than $30 and I had all the supplies (including the hardware) on hand. 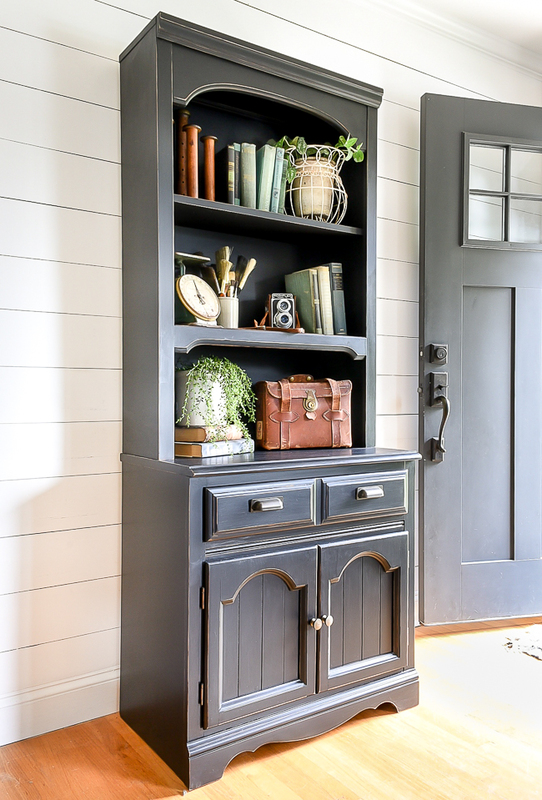 Now that's an affordable farmhouse transformation! So inspired by this! I have a super similar hutch in my sons room! Going to tackle it! Thanks for the inspiration!